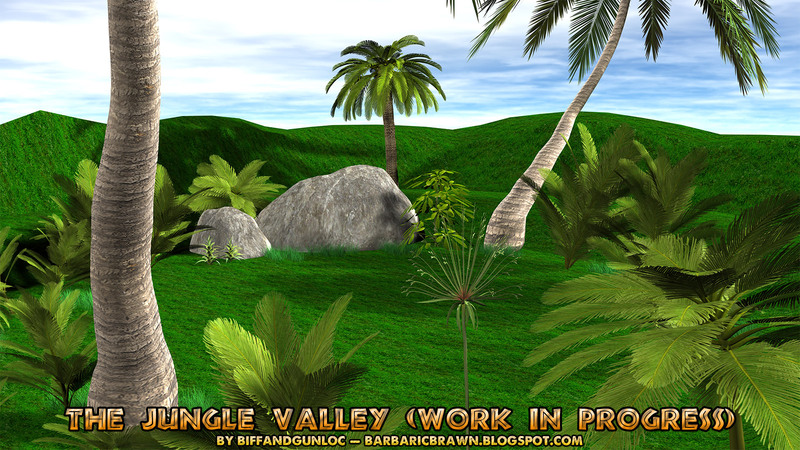 The jungle valley is where the battle between Tarzan and Jabari will take place. It's a secluded area with hills and foliage completely encompassing it. Many battles have taken place in this valley over the years, but the lush and fertile land always manages to conceal any evidence of it. This, like the Mogu settlement, is a work in progress, so it might be changed or tweaked over time.